Edited by Don Justo Zaragoza, Madrid, 1876-82. Volume 1, Cop. 6, page 36. On one of the earliest European explorations in the Pacific, upon arrival in the Marquesas Islands the ships of Mendaña (recorded by De Quiros) were greeted by a large fleet of native canoes. There were also a number of natives swimming and "others on logs (or sticks)". The expert swimming skills of Polynesians is extensively recorded. It is probable that the "logs" were floatboards, that is paddleboards or surfboards, as later reported in the Marquesas by Porter in 1812. There are similar reports of the use of "paddleboards" by other Polynesians, notably in the Hawaiian Islands by Clerke in 1778, Ledyard and Gilbert in 1779, and Campbell in1812. Lisiansky (1804) and Rugg (in D'Urville), c1840, reported the use of types of "floatboards" at Easter Island (Rapa Nui). Eskine (1853) noted the similar use of "a rough log of wood" at Lufi, New Caledonia, in 1849. Alternatively, James Hornell (1936) suggests that these craft are catamarans, that is a type of raft. The Text "En cada una los menos que habian eran tres y en la que más diez, unos a nado y otros sobre palos," - Zaragoza (ed. ): Quiros(1876), page 36. "The least number they had in a canoe was three, the greatest ten, some swimming, and others hanging on altogether," - Markham (trs.) : Quiros I (1904), page 16. "about seventy canoes, in each of which came three men, in some more in others less. Others came swimming, and others on logs:" - Stanley (trs) : Mora (1868), page 66. "In anyone the least number would be 3 [men], and in the largest 10; some were swimming and others on logs [? rude catamarans]." - Haddon and Hornell: Marquesas(1975), page 30. "In each had less than they were three and in which more than ten, some swim and others on sticks," - Google™ Translate (July 2011). 1813 Capt. David Porter : Madison's Island, Marquesas. 1914 Fredrick O'Brien : Surfriding in the Marquesas. De Quiros : Marquesas, 1595. Historia del descubrimiento de las regiones Austriales. Quiros, P. F. De: The Voyages of Pedro Fernandaz de Quiros (1595-1606). Translated and edited by Sir Clements Markham. Hakluyt Soc., 2d ser., vols. 14, 15, 1904. 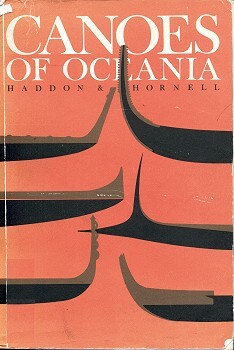 Haddon, A.C. and Hornell, James: Canoes of Oceania. Bernice P. Bishop Museum Special Publication 27. It is probable that the "logs" were floatboards, that is paddleboards or surfboards, as later recorded in the Marquesas by Porter in 1812. There are similar reports of the use of "paddleboards" by other Polynesians, notably in Hawaii by Clerkein 1778, Ledyard and Gilbert in 1779, and Campbell in1812. Lisiansky (1804) and Rugg (in D'Urville), c1840, reported the use of "floatboards" at Easter Island (Rapa Nui). James Hornell (1936) suggests that these craft are catamarans, that is a type of raft, see below. "The least number they had in a canoe was three, the greatest ten, some swimming, and others hanging on altogether," - Markham (trs. ): Quiros I (1904), page 16. Others came swimming, and others on logs:" - Stanley (trs): Mora (1868), page 66. "The narratives were evidently dictated by Quiros, or written from his notes ... by Luis de Belmonte Bermudez, a young man who was Secretary to Quiros during the voyage of 1606,"
- Markham: Introduction, page XI. "entitled Hechos del Marques de Cafiete (1613), a life of one of the Viceroys of Peru, by Cristoval Suarez de Figueroa, 1 Book VI contains an abbreviated version of the narrative in the Historia (1) generally copied word for word. The account in the work of Suarez de Figueroa was the only version of the second voyage of Mendana that was known to our (English) historians of Pacific voyages, Dalrymple and Burney." - Markham: Introduction, page XII. "Pedro Fernandez de Quiros (1563?-1615), navigator, was born at Evora, Portugal, but became subject to the King of Spain when the two countries were dynastically united in 1580. Quiros is the Spanish form of the name. He was a supercargo on Portuguese merchant ships and appears to have spent several years seafaring on the Pacific coasts of America. He was recognized as a competent and experienced navigator when in 1595 he was appointed chief pilot of an expedition of four ships under Alvaro de Mendaña setting out to colonize the Solomon Islands, which Mendaña had visited in 1567." - Australian Dictionary of Biography (July 2011). "They sailed from Callao, Peru, in April 1595. They sailed from Callao, Peru, in April 1595 and in three months reached the Marquesas, which Mendaña at first thought were the Solomons. Quiros was most impressed by the natives, as was James Cook 180 years later; they were 'in all things so becoming that … nothing in his life ever caused him so much regret as the leaving of such fine creatures to be lost in that country'. However, they became importunate and many were killed, though Quiros thought 'such evil deeds' were 'not things to do, nor to praise, nor to allow, nor to maintain, nor to refrain from punishing if the occasion permits'. The expedition left the Marquesas in August and, after passing several small islands, on 8 September sighted a large one which Mendaña named Santa Cruz." "none of the English translations gives a sufficiently critical rendering of the chief passage which concerns the present subject." He then provides the text in Spanish and his own translation, followed by an extended analysis concentrating on whether the acount implies that the canoes were fitted with outriggers ("the present subject"). De Quiros indicates the range of canoe crew numbers (3 to 10) and then notes "unos a nado, y otros sobre palos", which Hornell translates as "some were swimming and others on logs [? rude catamarans]". Hornell suggests, by the use of brackets in the translation, that these craft may have been "rude catamarans". Note that Hornell is not refering to the modern twin-hulled catamaran, for him a catamaran is a pointed form of a raft, with shorter logs affixed to a longer central log to produce a more streamlined wedge shape. "Figure 32. - Catamaran made of three banana stalks skewered together (photographed in 1925 in Taipi Valley, Nukuyhiva)." "a kind of catamaran which they construct in a few minutes, and a kind of surfboard, similar to that of the natives of the Sandwich Islands." Hornell then notes Quiros' "logs [? rude catamarans]", apparently in further support for his earlier speculation. Hornell does not consider the possiblity that the "logs" are Porter's "a kind of surfboard", and on page 49 appears more concerned noting the use of rafts as sea going vessels. used chiefly by the boys and girls, and are intended solely for paddling about the harbour." 3. Markham (1904): Quiros 1. 5. Markham (1904): Morga 2. 6. Haddon and Hornell (1975): Marquesas. The best and most detailed narrative of both voyages is contained in a work which remained in manuscript until twenty-eight years ago, when it was edited and published at Madrid by Don Justo Zaragoza. Two copies were known to be in existence : one in the private library of the King of Spain, the other in that of the Ministry of Marine. Both have erroneous titles, written by careless librarians. For the original Spanish text see Quiros, below; for Markham's translation of Zaragoza, see Quiros 1, below. ... it contains several passages for which the Secretary was alone responsible. Belmonte Bermudez remained faithful to Quiros in his adversity, and, after his master's death, he became a poet of some celebrity. Sefior Zaragoza quotes several passages which show the hand of a poet. In the work entitled Hechos del Marques de Cafiete, a life of one of the Viceroys of Peru, by Cristoval Suarez de Figueroa, (Volume) 1 Book VI contains an abbreviated version of the narrative in the Historia (1) generally copied word for word. Numerous details are omitted, particularly such as are derogatory to the Spanish character. There are also a few passages which are not in the Historia, but none having any bearing on the events of the voyage. Suarez de Figueroa tells us that he had the narrative of Quiros before him as he wrote. For these reasons I have considered it unnecessary to translate the version of Suarez de Figueroa, as it is merely a mutilated version of the narrative in the Historia. The account in the work of Suarez de Figueroa was the only version of the second voyage of Mendana that was known to our (English) historians of Pacific voyages, Dalrymple and Burney. There is a short report of the second voyage of Mendana, to Antonio de Morga, the Governor of the Philippines, by Quiros himself. It was translated and printed by Lord Stanley of Alderley, in his edition of the work of Antonio de Morga (Hakluyt Society, 1868). I have caused it to be reprinted in this volume, in order to make the monograph of Quiros complete. For Stanley's translation of Morga, see Morga, below. For Markham's reprint of Stanley's translation, see Morga 2, below. Footnote: 1. I have given an account of Suarez de Figueroa and of his works in a footnote to my translation of the Spanish account of the capture of Sir Richard Hawkins, also taken from the Hechos del Marques de Canete. ... the Duff and Banks groups of islands, and the New Hebrides, there are no less than four separate accounts. The first, and by far the most important, forms the second part of the Historia del descubrimiento de las regiones Austriales, by Belmonte Bermudez. The royal orders, the curious and interesting instructions of Quiros to his Captains, the act of possession and other strange proceedings at Espiritu Santo, the half-allegorical will of Quiros, and other documents, are included. For Markham's translation of Bermudez, see Bermudez, below. El siguiente dia, con duda si aquella isla era poblada,se pusieron las naves al Sur de ella y muy cerca de tierra, y de un puerto que esta junto á un cerro ó picacho que queda a la parte del Leste, salieron setenta canoas pequeñas, no todas iguales, hechas de un palo,conunos contrapesos de cañas por cada bordo, al modo de postigos de galeras, que llegan hasta el agua en que escoran para no trastornarse, y bogando todos sus canaletes. En cada una los menos que habian eran tres y en la que más diez, unos a nado y otros sobre palos, como cuatrocientos indios, casi blancos y de muy gentil talle, grandes, fornidos, membrudos, bueno el pié y la pierna, y manos con largos dedos; buenos ojos, boca y dientes, y las demás facciones; de carnes limpias, en que mostraban bien ser gente sana y fuerte: hasta en el hablar eran robustos. Narrative of the Second Voyage of the Adelantado Alvaro de Mendana, by the Chief Pilot Pedro Fernandez de Quiros. The Adelantado gave it the name of Magdalena, as it was the eve of that day. He thought it was the land that he sought, for which reason he was very joyful in every one's sight, in that he had come in a short time with a fair wind, the victuals good, and the people amicable, healthy, and cheerful. During the voyage there had been fifteen marriages, scarcely a day passing without some one wanting to be married next day. ... with high hopes, many stories, and none for the good of the natives. The Adelantado said to the Vicar and Chaplain that they were to chant the " Te Deum laudamus" with all the people on their knees, and that they should give thanks to God for the mercy of sighting land. This was done with great devotion. On the following day, with doubt whether that island was inhabited, the ships were steered to the south of it, and very near the coast. which they press to prevent the canoe from capsizing, and all their paddles rowing. The least number they had in a canoe was three, the greatest ten, some swimming, and others hanging on altogether, four hundred natives, almost white, and of very graceful shape, well-formed, robust, good legs and feet, hands with long fingers ; good eyes, mouth, and teeth, and the same with the other features. Outside the village they had some very long and wellmade canoes of a single tree, with the form of a keel, bow, and stern, and with boards well fastened with ropes made from cocoa fibre. In each one there is room for thirty or forty natives as rowers ; and they gave us to understand, when they were asked, that they went in these large canoes to other lands. They work with adzes, which they make of thick fish-bones and shells. They sharpen them with large pebbles, which they have for the purpose. As so many came there was a great press, and some canoes fouled each other and were overturned, whose masters swimming, turned them over again with great ease. They are built with two prows, so that they can turn the sail without having to turn the canoe. They brought many cocoa nuts, plantains, rice, water, and some large fish, giving all in exchange for old iron. Those of the ship were delighted with these people and their refreshing provisions. The exchange being completed, the natives went away, all but two who were killed by an arquebus, owing to a matter of a piece of cask hoop. Morga, Antonio de, Torres, Luis Váez de. Translated by Baron Henry Edward John Stanley. Printed for the Hakluyt Society, 1868. Narrative of the Voyage of the Adelantado Alvaro de Mendana de Neira for the Discovery of the Islands of Solomon. On Friday the ninth of April, of the year 1595, the Commander-in-chief Alvaro de Mendana set sail with his fleet to go and subject and people the western islands of the South Sea, from the port of the Callao of Lima, which is in twelve degrees and a half south latitude, passing by the valleys of Santa, Truxillo and Sana, and collecting men and provisions, he went to Paita, where he took in water, and made a list of four hundred persons, more or less, with his four vessels, two large and two small. ... first of July, we sighted an island, to which the general gave the name of Madalena, and from a port in it there came forth about seventy canoes, in each of which came three men, in some more in others less. Others came swimming, and others on logs: they were more than four hundred Indians, white, and of very agreeable appearance, tall and strong, large limbed, and so well made that they had greatly the advantage over us; with handsome teeth, eyes and mouth, hands and feet, and most beautiful flowing hair, and many of them very fair. Narrative of the Voyage of the Adelantado Alvarez de Mendana de Niera for the Discovery of the Islands of Solomon, written by the Chief Pilot Pedro Fernandez de Quiros for Don Antonio de Morga, Lieutenant-General of the Philippines. by the valleys of Santa, Truxillo and Sana, and collecting men and provisions, he went to Paita, where he took in water, and made a list of four hundred persons, more or less, with his four vessels, two large and two small. ... we sighted an island, to which the General gave the name of Magdalena, and from a port in it there came forth about seventy canoes, in each of which came three men, in some more in others less. Others came swimming, and others on logs : they were more than four hundred natives, white, and of very agreeable appearance, tall and strong, large limbed, and so well made that they had greatly the advantage over us ; with handsome teeth, eyes and mouth, hands and feet, and most beautiful flowing hair, and many of them very fair. Narrative of the Voyage of Pedro Fernandez de Quiros in 1606, for the Discovery of the Austrial Regions. Soon a fresh S.E. breeze sprang up. The anchor was raised in a great hurry, sail was made, and we were able to anchor further in. At last, having passed the night in these brief voyages, the day came, and we entered the port, anchoring in 12 fathoms in front of a beach exposed to several winds. The ship was, therefore, secured with four cables on the 21st of October, 1606. Relates what happened in this port of Navidad until we left it. The ship was anchored ; but, as we had no boat, we made a raft of two barrels and a yard. The Captain ordered four men, with the necessary provision of biscuits and arquebuses, to go on shore and look for some settlements, of which he had notice. The raft was taken on shore by the force of the waves. Three sailors who were on it found a new boat in a certain place, and two jars in a straw hut. Apart from a bald and probably misunderstood sentence in De Quiros' account of Mendana's second voyage, there is no valid evidence that the Marquesans possessed any type of sea craft other than rafts, single outriggers, and double canoes at the time of the discovery of the southern islands by Mendana in 1595 and of the northern islands by Marchand and Ingraham in 1791. De Quiros was the Portuguese pilot on Mendana's second voyage across the Pacific in 1595, and he alone of that company has left any record of what was seen during their sojourn in the islands. Two Spanish texts of his account are in existence; one given by Cristoval Suarez de Figueroa (1613) is an abbreviated version of the narrative, generally copied word for word; the other, complete, is by Don Justo Zaragoza (1876). As none of the English translations gives a sufficiently critical rendering of the chief passage which concerns the present subject, the Spanish text is given, together with a more literal and exact translation. De un puerto que esta junto a un cerro o picacho que queda a la parte del Leste, salieron setenta canoas pequenas, no todas iguales, hechas de un palo, con unos contrapesos de canas por cada bordo, al modo de postigos de galeras, que llegan hasta el agua en que escoran para no trastornarse, y bogando todas sus canaletes. En cada una los menos que habian eran tres y en la mas diez, unos a nado, y otros sobre palos, como cuatrocientos indios. From a harbor under a peaked hill which lies on the eastern side, there came out 70 small canoes, not all the same size, each made out of a tree trunk, with counterpoises of canes on each side, after the manner of the outboard rowing galleries of galleys, which reached down to the water on which they rested to prevent capsizing; all rowing with their paddles. In anyone the least number would be 3 [men], and in the largest 10; some were swimming and others on logs [? rude catamarans]. Altogether there would be some 400 natives. A catamaran seen on a stream in the historic Taipi Valley in 1925 consisted of three long banana stems pegged together with hardwood rods, passed from side to side (fig. 32). The fore end was cut to a sharp wedge point by long sloped cuts from each side; the after end was truncate. A box formed a seat, and the little craft was propelled by an oar-shaped paddle. Porter (1822, vol. 2, p. 74) records the occasional use of "a kind of catamaran which they construct in a few minutes, and a kind of surfboard, similar to that of the natives of the Sandwich Islands". De Quiros (1876, vol. 1, cap. 6, p. 36) probably refers to this primitive form of catamaran when he states that some of the natives of Fatuhiva came off to the ships upon logs (sobre palos). (Photograph) FIGURE 32.-Catamaran made of three banana stalks skewered together (photographed in 1925 in Taipi Valley, Nukuhiva). The occasional use of sea-going rafts is suggested by several traditions. Handy (1923, p. 20) records the story of a number of people who, defeated in battle, departed from Hanapaoa on a bamboo raft and "reached Takaroa in the Tuamotus". He also mentions a legend that the tribe called Fitinui, which lived in the upland valley of Meae Topa Iho in Hivaoa, being overwhelmed in battle, "built rafts of great packs of bamboos tied together. On these they departed from Hivaoa expecting to take refuge on Tahuata. But a contrary wind arose and they were driven southward". A local belief is current that they landed on Napuka, but Handy says that the culture and dialect of the Napukans give no suggestion of close relationship to the Marquesans. Geoff Cater (2011) : Quiros : Marquesas, 1595. Markham (1904), page XI, notes in the introduction that the text, as composed by Bermudez, was "dictated by Quiros, or written from his notes ... during the voyage of 1606." If these craft were catamarans and if the text was dictated, it is possible that Quiros might have adjusted his account and used the Spanish term "balsa" to indicate a type of raft. The Shorter Oxford Dictionary , Clarendon Press, Oxford, Second Edition, (1989), A-Bazouki, page 915. - Markham (trs) : Quiros III (1904), page 304. Haddon: Canoes of Melanesia, Queensland, and New Guinea. "Only some men may dig out canoes; those whose ancestors dug them out. When a father is near death, that father takes water and washes his son's hands, and they think that the father is giving to his son understanding and wisdom to build canoes, and he signifies it through water. When a man has fiinished a canoe he takes it down to the sea and paddles very far, and makes it roll on the surf, and then he thinks he drives away the ghost from the adze with which he dug out the canoe, and the ghost of the spot where he cut down the wood for the canoe." O'FERRALL, W. C., Native stories from Santa Cruz and Reef Islands: Anthrop. Inst., Jour., vol. 24, pp. 223-233, 1904. Anuda The natives of Anuda (Cherry Island), which lies some 67 miles northeast of Tikopia, are Polynesian in appearance and speech, according to Friederici (1912, pp. 28, 301), their language being allied to that of Samoa and Tonga. Gordon Macgregor, ethnologist on the Templeton Crocker Expedition, 1933, was told that the present inhabitants believe they are descendants of Tongans who came by way of Uvea and the Ellice Islands without touching at Tikopia. One man stated that the Anuda people adopted the Tikopian type of canoe after their arrival, but Macgregor thinks this doubtful. The natives often swim out to visiting ships on logs; they also swim on logs and fish from them for hours at a time. But then one day in 1526, the Manteño sent out one of their balsa rafts and the history of The Americas was altered irreversibly. At sea, they spotted an unusual ship coming over the northern horizon. It measured 50 feet in length and it carried the flag of the Crown of Spain: The Conquistadors had arrived. It was the end of everything. Nowhere in known history has the meeting of two ships at sea heralded cultural change of such unimaginable, unthinkable scope. Within ten years of this first meeting the Inka Empire had fallen, ninety percent of the Manteño had died of European disease, and the Spanish Empire controlled the entire Pacific Coast. The giant raft the Spaniards overtook on that first fateful day in 1526 was a freighter from the port of Salango. It carried gold, silver, fine cloth, and Spondylus. The Spaniards noted that the raft carried 'sails like that of our own ships,' and that the raft was sailing north on a trading voyage.